Woman who came to the United States turns her attention to activism. KANSAS CITY, Mo. -- Rebecca Mabior is sharing her journey to the United States as a rallying cry for immigration. Mabior fled from South Sudan during widespread genocide into Egypt where she was classified as a refugee. 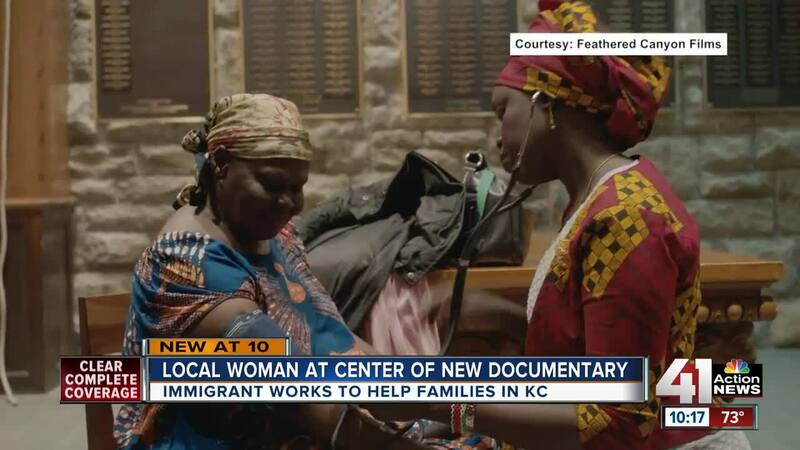 Three years later, she arrived in the U.S., and then in Kansas City. She works as a labor and delivery nurse. "When I do my job here in this country, I do it with pride. I do it because I'm here and I was given a second chance to live and I want to live with compassion. I want to leave my fingerprints in everything I touch," Mabior said. One of Mabior’s patients testified to her pride. "Rebecca was one of my nurses in labor and delivery and she was just amazing,” Tashina Cross said. “Everything you would want in a nurse. She's warm and caring and all of that." Now, Mabior is taking on a new role: activist. "When immigration became an issue and became a political agenda. When people talk about immigration and kids being returned from the border when the kids were separated from their family, it hit me. I never expected this to happen in America," Mabior said. The documentary, "I Am Rebecca" is a big step toward achieving her goal of bringing awareness to the lives of people like her. The film, shown at the Cannes Film Festival earlier this year, is an intimate look at her life. The movie was surprising, even for her. "When I realized I was 21 years old and going through this, it didn't hit me until I saw it on the screen" she said. Jewish Vocational Services is a big part of the documentary, and is hosting a free joint screening and panel discussion from 1 to 2 p.m. on Sept. 23 at the Nelson-Atkins Museum.